Laurie Bennet submitted this photo and caption. 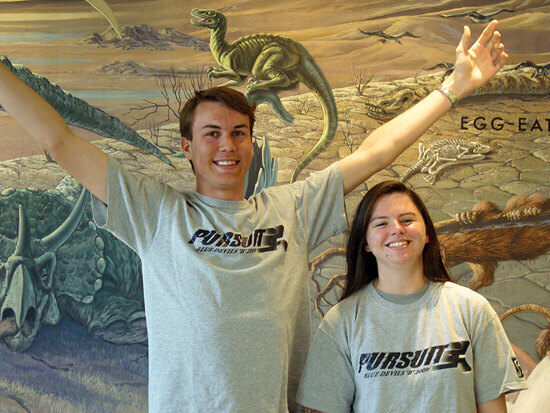 Members of the 2008 and 2009 Blue Devils B, Stephen and Brittany in "Pursuit" of dinosaurs in the Animal Kingdom theme park at Walt Disney World. This photo was taken during the Benicia High School Band's spring break trip to Orlando in April. Brittany and Stephen have been going to school together since kindergarten and are graduating from high school this year. Their past two years in the "B" corps have been added to the many years of memories that these two share.